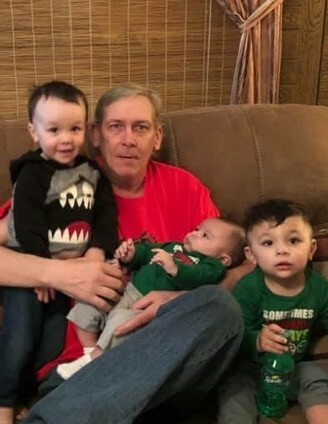 Brad L. Harvey, 51, of Logansport passed away unexpectedly at 12:00 p.m., Saturday, February 2, 2019 at his residence. He was born on January 25, 1968 in Logansport. Brad was employed at Topp Industries, Inc. in Rochester. He just recently became the Commissioner of the Indiana Softball Association. Brad was a longtime softball umpire and had a passion for the game whether he was playing or umpiring. Brad enjoyed playing for the Logan Lovelies. He was also an avid Yankees, Cubs and I.U fan. Survivors include his daughter, Karisa L. Harvey (Josh) of Monticello, sons, Blake A. Harvey of Monon and Nicholas C. Harvey of Logansport, brother, Brian E. Harvey of Logansport, sister, Cynthia Burkhart (Jeff) of Logansport and grandsons, Neyland, Princeton and Leonardo. Brad is also survived by several nieces and nephews. He was preceded in death by his mother, Dorothy C. (Rivers) Harvey, brother, Michael D. Harvey and sister, Susan L. Odom. A Celebration of Brad’s Life will be at 5:00 p.m., Wednesday, February 6, 2019 at Marocco-Rans Funeral Chapel & Crematory. Visitation will be from 2:00 p.m. until the time of the service. Memorial contributions may be made to the American Cancer Society and/or the Cass County Softball League. Please sign Brad’s online guestbook or leave a condolence for the family at www.ransfuneralhomes.com.